On his first Boracay trip, a friend blamed me for publishing a Boracay food guide with most of the restaurants and cafes not budget-friendly. I was laughing at him when he said that he overspent after dining at one of the places I’ve listed. Since this blog promotes budget kind of travel and to counter my other Boracay food guide, here are some of the budget friendly places to eat in Boracay. Saan makakarating ang 100 pesos mo challenge! Busy dinner at Kolai Mangyan. Most people recommend Andok’s as an affordable place to eat on the island. 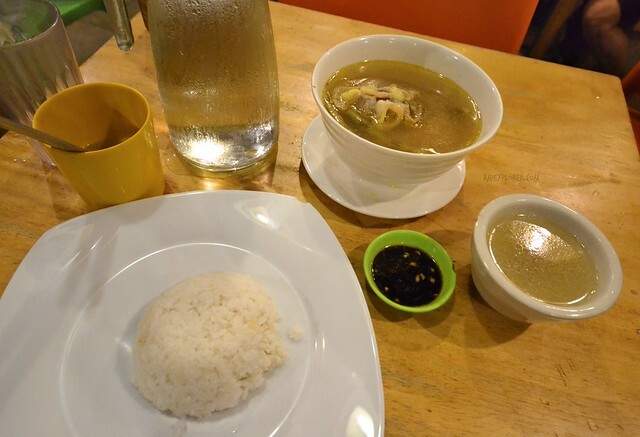 But seriously, it was my sixth time in Boracay when I finally tried a meal at Andok’s. I’m not trying to be cocky, but my mantra on my previous Boracay visits was, “Boracay is a place to sleep well, eat nice, and party harder.” Not until my recent visit when I was jobless and I needed to extend my budget for my wallet not to avenge on me. Moring’s Eatery, one of the budget places to eat in Boracay. So to that colleague who went over his budget on his first Boracay trip because of the food places I’ve listed on my Boracay fancy food guide, and to everyone reading this blog who wants to try all Boracay activities and adventures and willing to sacrifice their food budget at any cost, here are the meals and places you can watch out for. People will kill me if I won’t include Andok’s on this list. So the most recommended place for budget meals starts our list. Andok’s has its most known branch in D’Mall but I’m not aware that the brand has several branches along the main road and some alleys of Boracay. The first restaurant I’ve tried on the island on my first visit was Tilapia ‘N Chips. Travelers are not aware that the restaurant has budget options on their menu. The full set meals of Tilapia ‘N Chips are Php200 and above but the restaurant decided to retain their promotional Php99 for a set of fried Dori, tartar sauce, rice, and iced tea. 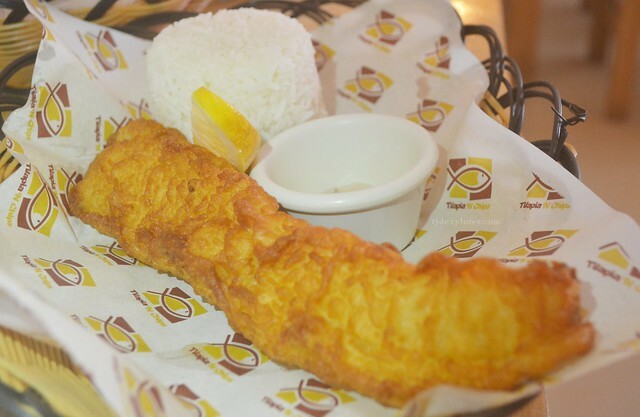 Php99 fried dori with rice from Tilapia ‘N Chips. On a tiny alley in Bulabog, near Ferra Hotel, is another secret place I’ve discovered. Donatello is a restaurant built just in the front yard of a house. I’m not sure if it’s owned by the homeowners but one thing is for sure, they have Php99 rice toppings. 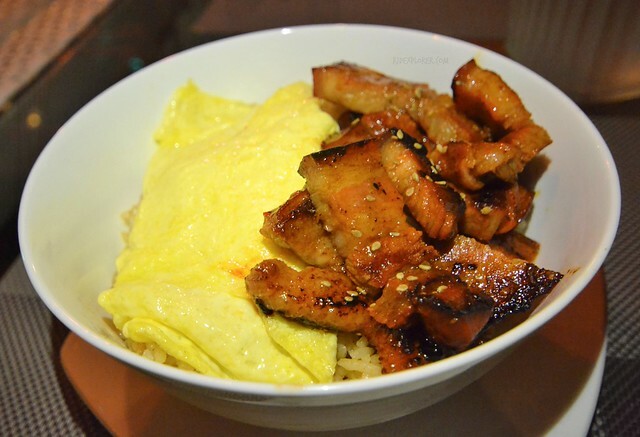 You can have sizzling, fried, or grilled meat served on top of steamed rice. Donatello’s spicy pork belly rice topping (Php99). Along Bulabog Road, just across Second Wind Bed and Breakfast Hostel is Kubo Resto Bar and Grill. I passed by the place going back to Urban Boutique Hotel from the main road. 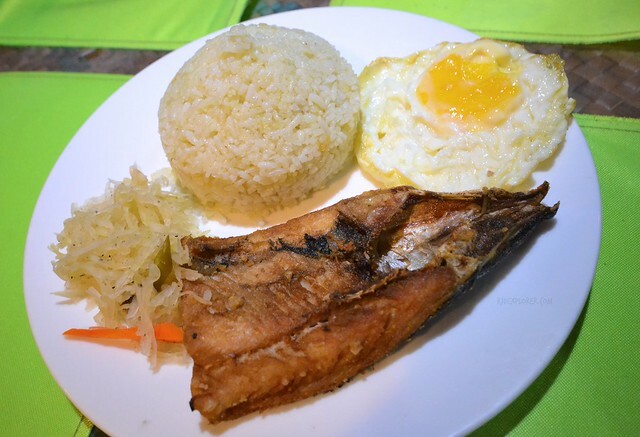 Known to serve Filipino staples, the restaurant provides silog meals with your tapa, tocino, bangus, and a lot more served with fried egg and rice. If you visit the place for dinner, you can also enjoy acoustic performances and live band. One of the suggestions I got from a friend is Kolai Mangyan along the main road near Jollibee Boracay. The place was jam-packed during my visit that signifies the resto is being flocked by Boracay travelers for cheap eats. 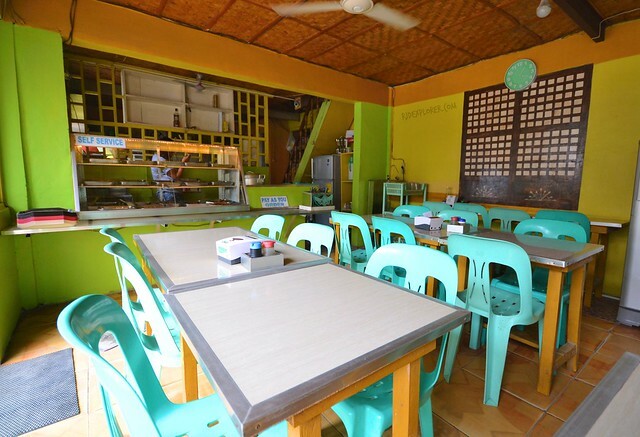 Kolai Mangyan serves all-day breakfast, group meals, sizzling, pasta, and dessert. One of the intriguing meals is the bulasing and budbud meals. Kolai Mangyan’s bulasing (Php80) and rice (Php15). 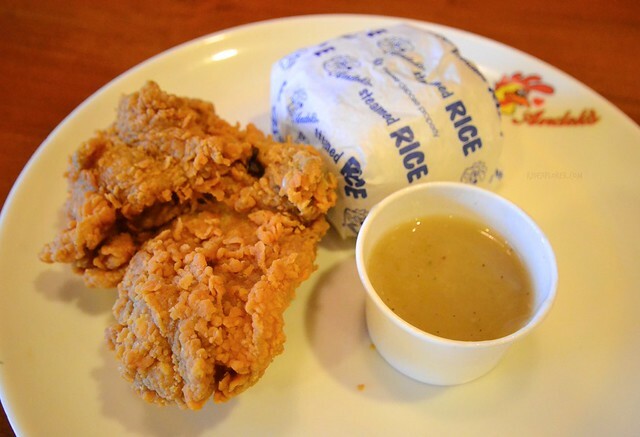 Another budget restaurant is Jasper Tapsilog and Resto a stone’s throw away from D’Mall. Though the breakfast silogs are only available from 6 AM to 11 AM, the cheap meals continue from lunch til dinner for their carinderia-style food offering. 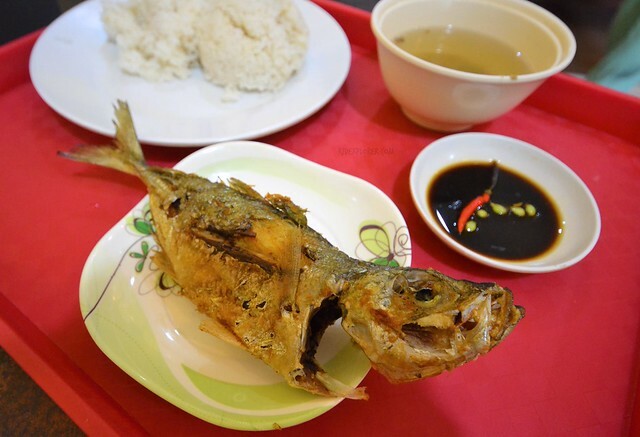 I got a more-than-regular sized fried fish for only Php55 and a cup of rice for Php15. Your one-hundred bill can go a long way here. Fried fish (Php55) and rice (Php15) for lunch served at Jasper’s. Eateries are also everywhere on the island. You can find them on tiny alleys to the White Beach coming from the main road. One of them is Moring’s Eatery near Munchies. For eateries, you can get a meat or fish viand for Php30-50 and veggies for Php25-35. A cup of rice is usually Php15 or Php20. You can pick your choice with the seller scooping into saucers. 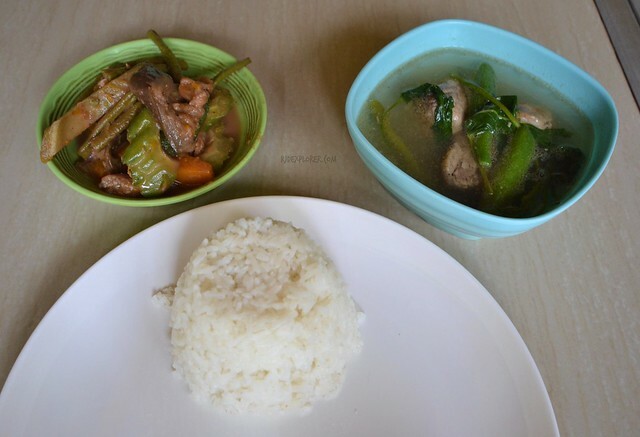 Sinigang na baboy (Php35), Pinakbet (Php30), and rice (Php15). 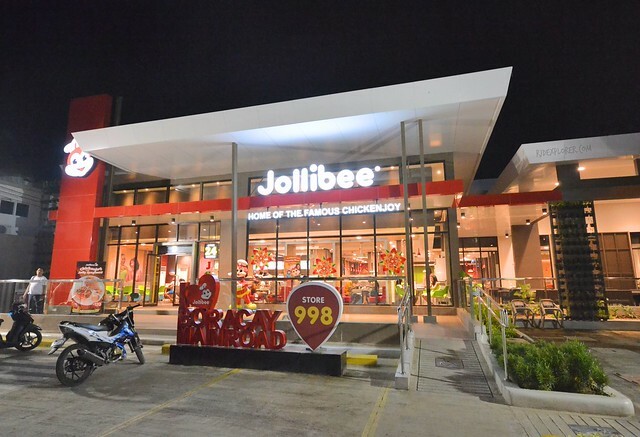 Jollibee 998th branch along Boracay main road. And that’s it! 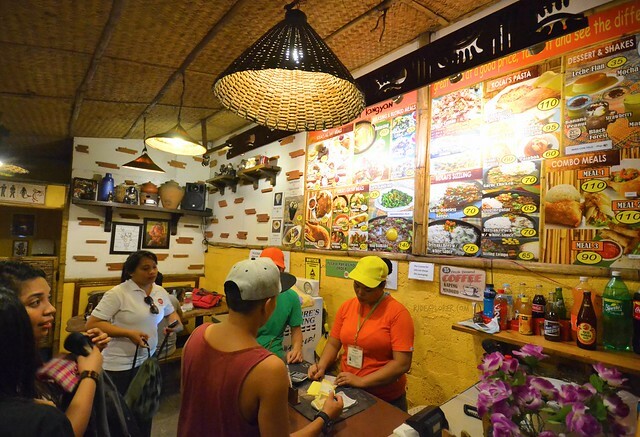 The list excludes food chains like Jollibee, McDonalds, KFC, and Mang Inasal which are already considered defaults when it comes to budget eating in Boracay. The meals and places listed here are the places I’ve tried during few trips. If ever you’ve been to one not on the list, don’t hesitate to leave the name of the restaurant in the comment section below. Remember that your comment will help a traveler extend his budget on the island.